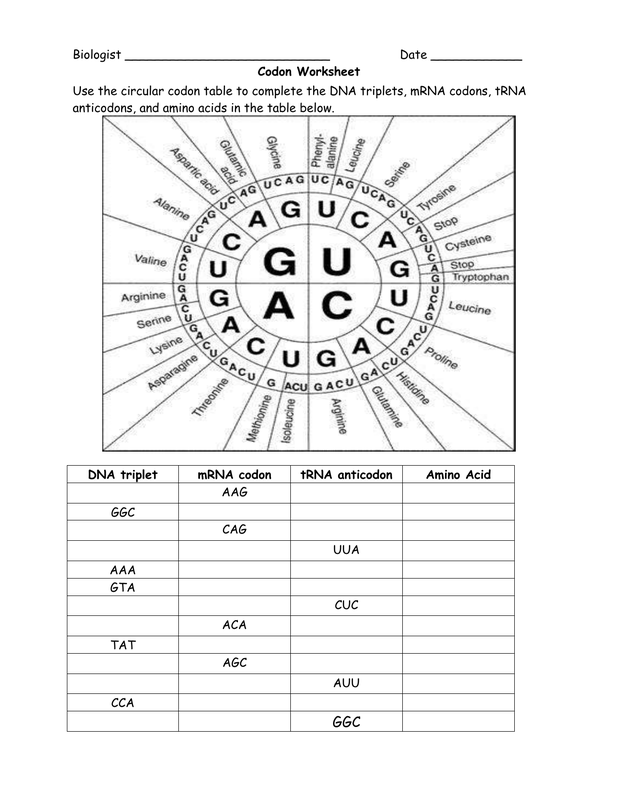 anticodons, and amino acids in the table below. 1. What 3 codons act as termination signals? 2. What codon means start? 3. List ALL of the codons for leucine. sequence, tRNA anticodon sequence, and the six amino acids for this.